House decorations seem to flourish at Halloween and Christmas. But Thanksgiving is typically a simpler theme, with maybe a few pumpkins and a garland of fall leaves. 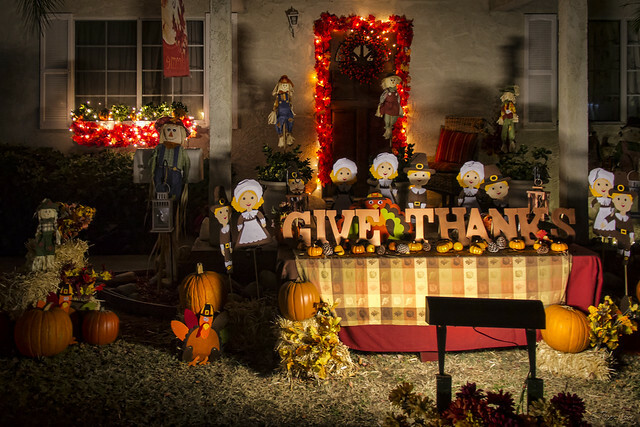 So it was fun to see this house with its message to "Give Thanks," with the Pilgrims (and their turkeys) ready to welcome their guests to their table. A safe and happy Thanksgiving tomorrow to all!